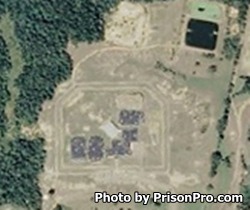 Wilkinson County Correctional Center is located in Woodville Mississippi. This facility was first opened in 1998 and is situated on over 97 acres. Currently the Wilkinson County Correctional Center can hold 900 inmates of minimum, medium, and closed custody. The prison last earned its American Correctional Association Accreditation in 2014. While incarcerated at Wilkinson County Correctional Center inmates can learn to paint, and how to perform building maintenance. Offenders can also take adult basic education classes and earn a GED. Inmates are also offered religious services and substance abuse treatment. The visiting hours for this facility are currently unknown, for more information contact the facility at the number provided. If you know the visiting hours for this correctional center please leave a comment below.